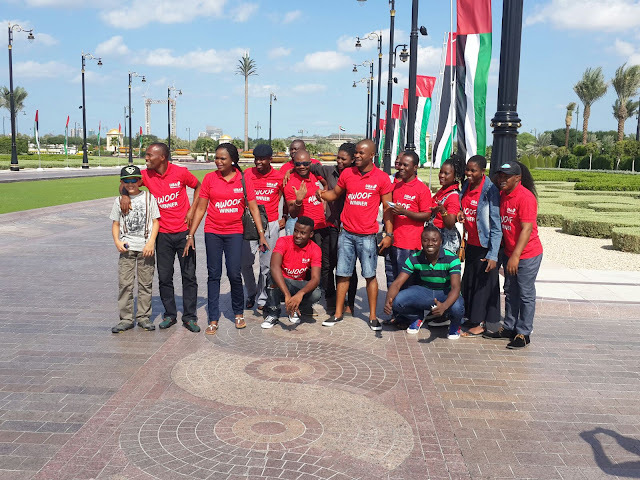 It was a Friday evening at the international wing of the Murtala Mohammed International Airport (MMIA) and 20 lucky customers of United Bank for Africa (UBA) Plc were eagerly waiting for their flight. 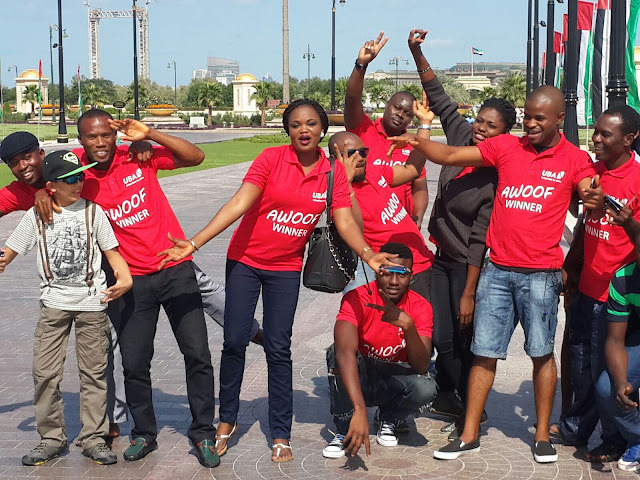 The 20 lucky customers had emerged as winners in the Remittance Awoof Promotion organized by UBA to reward customers that had received remittances through MoneyGram and Western Union from any UBA business office across the country. Another 60 set of customers were rewarded with beautiful gift items. The winners were selected based on money transfers through MoneyGram and Western Union at the bank within the period of January and August 2015. The trip is part of the bank's efforts to reward loyalty, give back to the society and impact the lives of individuals that carry out business with the bank. Their destination was Dubai. 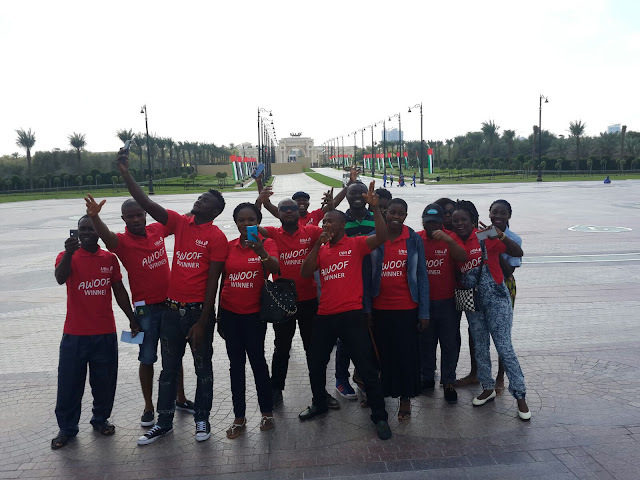 Courtesy of UBA, they were going on an all expense paid 3-day trip to the world’s holiday city. For many, it was their first time of traveling out of the country and they were excitedly looking forward to it. One of the lucky customers, Benita Ojeh from Asaba, who has never been to Lagos before the trip, could not hide her excitement; “This is more like a miracle to me. I never believed this would ever happen to me. I am immensely grateful to UBA and most importantly very proud that a bank could reward a customer with a dream trip like this”. 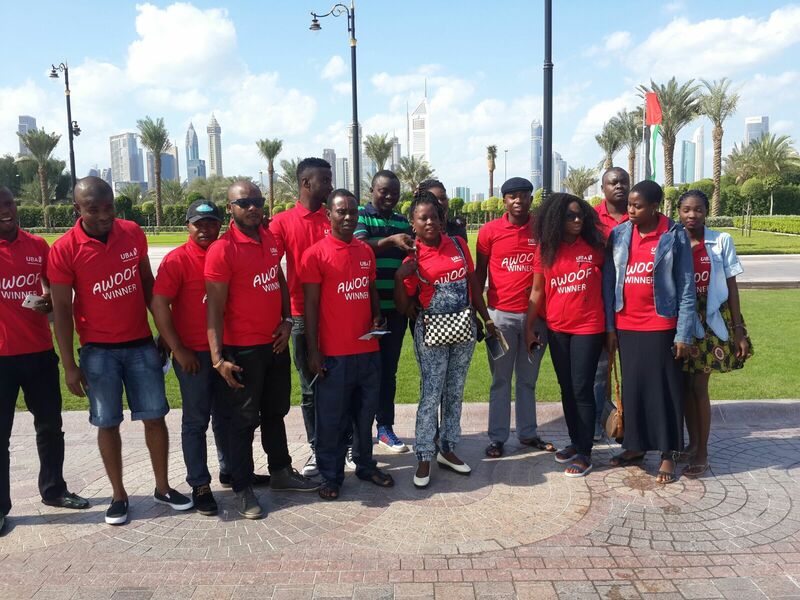 In Dubai, the 20 lucky customers were lodged at the prestigious J5 Rimal Rotana Apartments, with each customer allocated his or her own room. During their stay, they had opportunity to visit many great sites in Dubai including the Burj Khalifa, the tallest man made structure in the world. Welcoming the customers back to Nigeria on November 17, 2015 Directorate Head, Public Sector Group, Marketing, Mr. Oliver Alawuba, said UBA is more than happy to reward loyal customers because UBA believes that loyal customers deserve to be rewarded. “ I am so excited. I have no words to say how I feel now after this trip. All I can say is thank you UBA for making this happen to me. 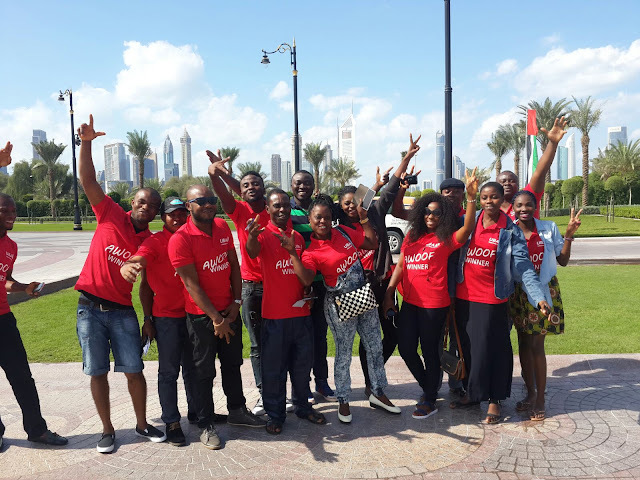 I will never forget my experience in Dubai. 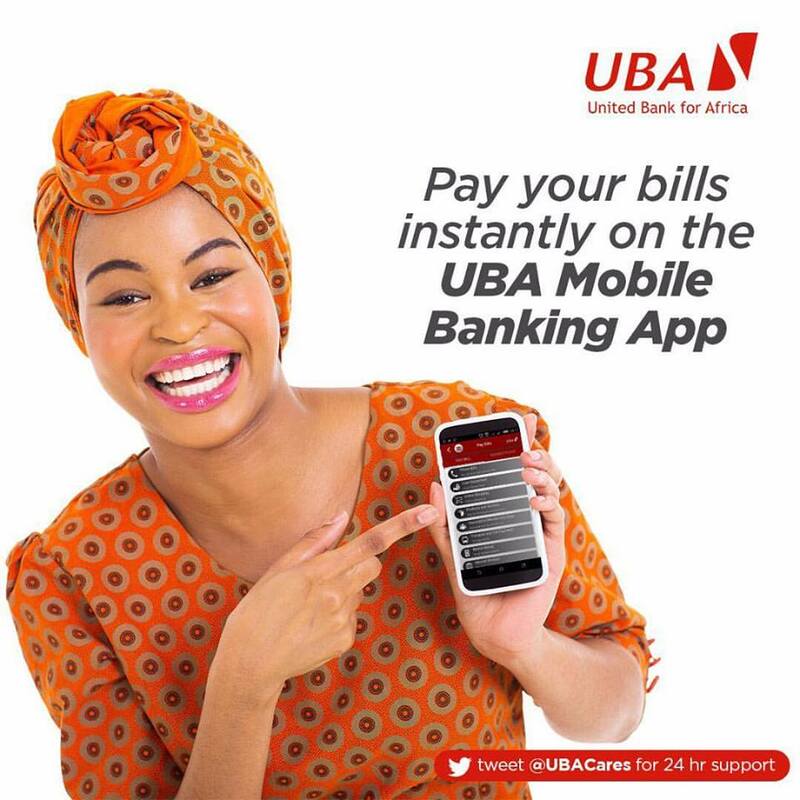 It is an experience I will share with my children and it is great to know that UBA made it happen” said Benita Ojeh, who said this was also the first time she is travelling out of the country. Already, UBA says plans are at an advanced stage to roll out another Awoof promotion in January of 2016. “Customers who missed this trip should watch out. It could be their turn to have an unforgettable holiday experience for being loyal customers of UBA,” said Mr. Alawuba.